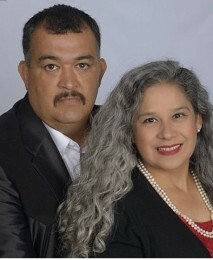 Beatriz Lopez had a successful career as an educator in La Joya, Texas, but her and her husband Severino aspired for a higher level of success. She ran a daycare out of her house and tried a number of multilevel businesses to supplement the family income, but they never helped her family achieve their goals. “Ambit was an answered prayer at a time when my husband’s business wasn’t doing so well,” she says. Despite a schedule that included taking care of five children, church and other activities, Beatriz decided to make the commitment and focus on her Ambit career. After deciding to focus on Ambit, Beatriz decided to close her daycare business. She convinced Severino to help out, and they started to work as a team. She also found being bilingual contributed to her success. With the support of her fellow Consultants and family, Beatriz began regularly working her business and helping others achieve success. With all she’s learned and all she has to teach others, it seems likely that Beatriz will continue to find success with Ambit. Time for my family and to serve with my church. The different level trainings and that there is no training on Sunday. I also like the testimonials people share on how they built their Ambit business because they encourage others to see that they can do it, too.